Late last year, I was contacted by the folks at Nonna Box to see if I would be interested in checking out their latest addition to their regional Italian selections, specifically, their Umbrian box. Since we live in Umbria six months a year of course I said I’d be delighted! Nonna Box is a monthly subscription of carefully chosen gourmet Italian products that highlight a different region each month. Each box is shipped out on the 11th of each month, and will be at your door and in your kitchen in just a few days later. You can sign up month to month and pause or cancel your subscription at any time, or you can sign up for three, six month, or every other month subscriptions. 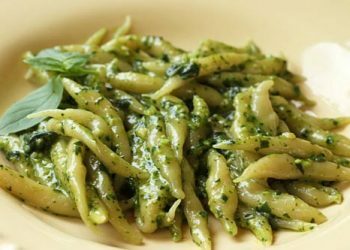 Italian cuisine is so unique and different from region to region, and a Nonna Box monthly subscription is a wonderful way to travel across Italy and explore its many regions from the privacy of your own kitchen. This is a great way to learn about traditional Italian cuisine and its many regional food specialties. Nonna Box was even chosen by The Wall Street Journal as one of the tastiest and worldliest food boxes! My Umbrian Nonna Box box arrived at my door, and it was packed full of Umbrian specialties including Stringozzi pasta, a dried pasta typical of Umbria similar to spaghetti but thicker in diameter, a porcini mushroom spread that can be used as a sauce, a jar of vibrant flavored arugula pesto, a jar of gooseberry jam, a container of Umbrian olive oil, and a delicious bar of hazelnut chocolate. Also in the box are eight quality cards with Italian cooking traditions, traditional recipes, and product serving suggestions, along with wine suggestions from Nonna Box’s in-house sommelier. Over the holidays we enjoyed the stringozzi pasta tossed with the mushroom sauce and it was delicious. Nonna Box has offered me a second Umbrian box to give away as a contest prize. Just follow the contest rules below to enter to win an Umbrian Nonna Box valued at $65US. THIS CONTEST IS NOW CLOSED! CONGRATULATIONS PATRICIA GROSSO AS THE WINNER OF THIS PRIZE! My father is from the Calabria Region, my mother is from the North near Parma, my mother-in-law is from Trento and my father-in-law is from Verona. With that heritage I’m sure you can see why a “Nonna” box would mean so much to me. I have multiple nonnas in my family and would love to cook for all of them using the ingredients from the Nonna box. I’d love a Nonna Box. This Nonna would love to try out some regional specialties. We loved visiting Umbria, so I’d love to try the products! My mother is from Sicily and my father’s side comes from Naples. 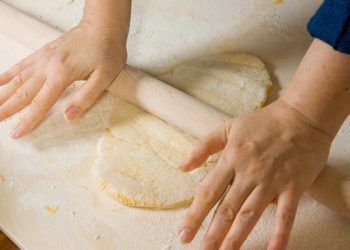 Growing up in an Italian household, cooking was always a big part of our lives. I love trying different products and recipes. This would be a wonderful gift to share with my mom who happens to be a Nonna. I would be thrilled to receive these products….I am 100% Italian, so all these products would be used. 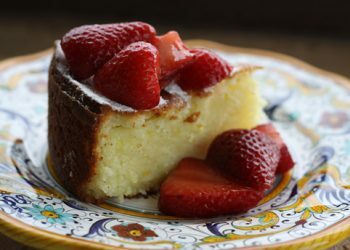 I am always trying many new recipes found on Italian Food Forever! Whoops – did my comment disappear? 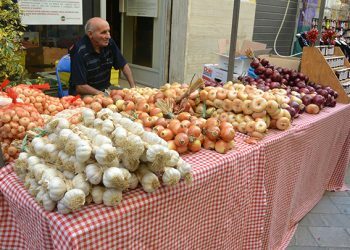 I’d love to cook these foods and try the recipes to have a taste of Umbria! Anything that includes foods from Umbria AND chocolate would be much appreciated at our house! I would love to win this! It’s so hard to find authentic Italian products locally. I love to cook and to try new ingredients. This looks wonderful. I would like to win because being an Italian I love to cook. I would be anxious to try some of the items I’ve not used before. Love Italian cuisine and trying new products and recipes! I would like to share the Umbrian Box with my family. Thank you for thinking of your fans! What a fun approach to cook Italian – it would be like visiting Italy through my tastebuds! I’d love to win this box! That pasta looks awesome! I’d love to try a Nonna Box. This Nonna enjoys cooking Italian food. I would love to try a Nonna Box, it looks fun and adventurous. I love to cook for my family! I want to win because I like to try new foods. I love cooking and trying new things! Thanks for the chance! How I would love to share this with my granddaughter,an up and coming great cook! Because I am soon to be a Nonna! Cannot wait to teach that little boy about food and family. What a great way to start the year! I’d love to experience Umbria from the warmth of my kitchen! This Nonna Box is a treasure which I would enjoy greatly. Growing up in an Italian family where all my siblings love to cook, I would love to win this box! I’ve been to Italy twice and love the cuisine! I would love to try your samples and recipes. Thank you for the opportunity to win the box! i am feeling rather random…please pick me. Oh what a blissful box of goodies!! Would be wonderful to try them out!! I have been teaching my 12 year old grandson how to cook for nearly a year now. We prepare a family meal once a week. It would be incredible to introduce him to a authentic Nonna Umbrian meal. The Stringozzi pasta with Porcini Mushrooms sounds amazing. I would love to cook a delicious Italian meal for my husband using the Nonna Box. If I don’t win I might subscribe! I just started following Nonnative Box on Instagram and would love to win the box! Thanks for the opportunity! 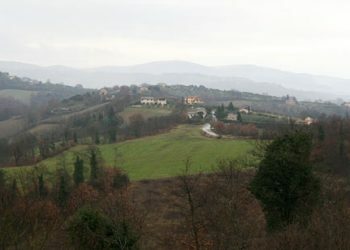 Just returned from Umbria in November and loved every minute there. I would love to try Nonna recipes and the contents look delicious!! We spent a wonder week in Todi a few years ago and loved Umbria and our villa. A Nona box would bring back those memories. I am a NONNA!!! I’m always cooking with and for my grandson. We would love to enjoy this box together!!! What a great combination! I would love to use these ingredients to make a dinner of new flavors. Impressive and wonderful Nonna box which the entire family would appreciate. Oh my! This would be so nice to win! My husband grew up in Gorizia and we love to see different regions when we go back to visit. Sardinia also. I am always trying different Italian dishes to see if I can impress him, so far, so good! I am a NONNA!! I am always cooking for and with my 8 year old Italian grandson Giulio. We would love to receive the box and make the reciepes together!! Always wanted to visit Italy. Would love to better my Italian cooking with products directly from there. I love the foods of Italy, and this would be the next best thing to traveling there. I love to cook for the people I love and share my passion for all things Italian. I will use the Nonna Box to celebrate my heritage and love with good friends. I love the foods of Italy, and this would be the next best thing to visiting in person. I am in love with Italian food and am always searching for the “authentic” ingredients so I can do a recipe as it should be. 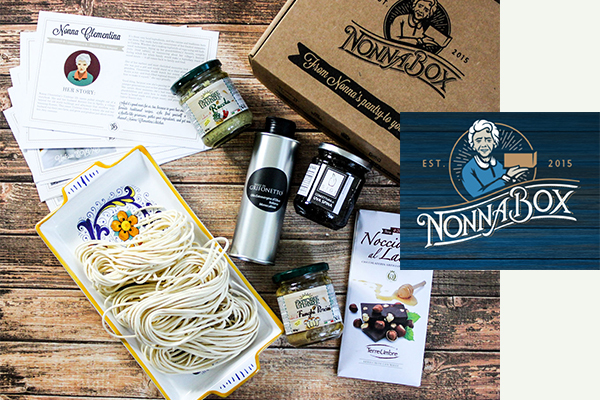 This would be a once in a lifetime thrill to win the Nonna Box! Thank you so much for the chance!!! Good Morning, Would so love to have a box from a Nonna as I no longer have my Nonnas or my Mama. Love becoming acquainted with the various regions of my ascentors. Thank you. I would love to win this box! 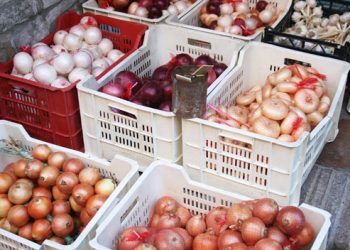 I was born and raised in Italy so I constantly look for authentic Italian products! Would love to try these wonderful foods and recipes I only dream about now! I was thinking of giving Nonna Box to my kids this year. This could give me a sneak peak. Thank you. I just moved into a new place and would love to stock my shelves and impress my dinner guests with some wonderful Umbrian delicacies. Umbria memories of Todi and Assisi so fun to explained regional foods of italy! Italian food is an art form! I’ve never had any Italian food that I did not like, it’s all that delicious. Would love to conjure up a lovely meal the the contents of Nonna’s Box. My actual travel days are behind me. My new style of travel is via my kitchen. Love exploring regions on my stove top. Umbria? That would be a new adventure. Thank you! I would love to win the Nonna Box filled with so many treasures of Italy. The porcini mushroom spread sounds fantastic! I would love to win because I love Italy, Umbria Pasta and all things Italian! I love all things Italian! I could eat Italian food 6 nights a week and have pizza on the 7th! I love to try out new things, so please consider me! I love anything Italian, especially the food! I’d love to win some authentic regional food to make for my family. Authentic Italian Ingredients delivered to my door!!! i’m in! I’ve always dreamed of traveling throughout Italy and this would give me a great start, learning about the different cuisines of the country. If I win this it will remind me of my wonderful time in Umbria at your beautiful home! I love so many of your recipes -my favorite is your grissini recipe. I’d love to tey the Nonna box! Porcini Mushroom Spread?!? Yes please! What a lovely way to experience Umbria! I am an Italophile through and through, so I am obsessed with all thing Italian and love trying and different things so an Italian box of fun goodies is always up my ally! I’ve never tried Arugula pesto or Gooseberry jam before either so that would be a treat. Plus it comes with Chocolate!!! Would love to win. My Nonna was from Reggio di Calabria and Nonno Castellana Bari. I love cooking anything Italian for my family and using authentic Italian ingredients is the best!! Would love the “Nonna’s” box….Cause I’m a Non-native…Can’t get any better than that!!!! Ah shucks again cause I live in Canada I don’t qualify. How wonderful, food from Nonna. Can’t get any better than that! This is a beautiful and delicious looking give away!!! Thank you for giving us a chance!!! I have always dreamed of traveling throughout Italy. This would be a wonderful opportunity to sample different cuisines of the country. I’m always telling friends that “Italian” cooking is really 20 different cuisines representing the different regions. Would love to explore the specialties of Umbria. What a lovely box full of regional foods and recipes! I would love to win to try some new foods!! I would love to host a dinner party with the Nonna Box for my non Italian friends, I am very passionate about my Italian heritage and I love learning and exposing family and friends to the many different regions and cultures of Italian food. “tutti a tavola a mangiare” I just luv it! We are planning a family trip to Italy. How fun to experiment with some local food before we go! Thank you! This sounds great. I would love to win the prizr. This wonderful contest inspires me to cook as my ancestors did, Italian!! Would love to try a recipe with authentic Italian ingredients! I would love the Nonna box. I am always tooking to try new Italian products and incorporate them into my diet. I am learning Italian and love the Italian culture. Yes I want to win. I have never won anything ever. How grand would it be to win a box of Italian goodies from my favorite cuisine, my favorite travel destination and my happy place. I would like to send my daughter off (moving 1500 miles away) with a fine Italian meal, and these products would certainly help meet the need! Something she would never forget, as i would give her all the equipment and goodies. I am a Wannabe Italian! Have visited 16 of the 20 regions and will use these ingredients for a smashing evening of thoughtfully prepared food topped by biscoti, gelato and Prosecco. Cin Cin! I love Italian food. I’d love the box. THat’s such an amazing group of items !! Inspiring to any cook! I’ve never heard of Nonna box. I would enjoy winning to explore this more. 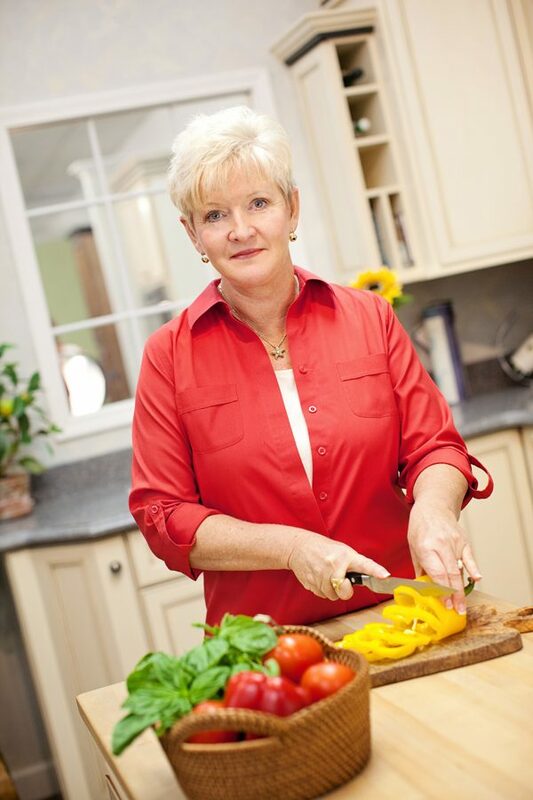 I love to cook recipes from different countries and am especially fond of Italian food. To receive this box of lovely goodies would send me over the moon and right into the kitchen. 🙂 Thank you for this opportunity to win such a terrific prize! I’d like to win the box, quite honestly, because of that Gooseberry Jam. I’ve been trying different kinds of jam spread over plain goat cheese on a wheat-y cracker…mmmm, so good. Tomato jam, red raspberry jam, fresh homemade strawberry jam, and fig jam have all made the cut. Now it’s Gooseberry Jam’s turn. Thanks for the lovely offer! With a name like Vito, and being the chief (chef) cook and bottle washer in my family, I have never used a lot of these ingredients, this would certainly be something I would love to work with. Although both my Nona’s (and Mom) are passed, they were the ones who inspired me to pick up the old wooden spoon! What a wonderful way to explore the regional specialties of Italian food. I would LOVE to win this for my dad. He loves trying out different box subscriptions and he adores Italian foods. Looks perfect for him. Thanks for having this giveaway! We fell in love with Umbria during our Vacation to Italy. Winning these delicious Umbrian products would help to bring us back until we can return again. I am a Nonna to 3 wonderful grandchildren and hope to have many more soon! Plus I love to cook and am starting a Pesto business and have plans to move to Italy in two years! I absolutely love to cook and try new things. Italian is my favorite cuisine!! I would Love to win the Nonna box so that my Grandson and I can enjoy making some great meals together. Some of the ingredients are new to him and we will have fun looking up how they were made. I am sure he has never heard of Gooseberry jam. He is 8 1/2 and loves to learn Italian cooking with me his Maternal Grandmother. My Grandmother Louise ( Luisa was her name in Italy) taught me and I am passing this down to the 5 th Generation . I can envision us making a whole meal from the ingredients in the Nonna box. He watches the Children cooking show on the Food Network and loves to choose ingredients and surprise his Mom with dinner. Thank You..
We fell in love with Umbria on our vacation to Italy. Winning these delicious products would help to bring us back, until we can return again. I would love a Nonna box it would remind me of my Momma and all the great meals she used to cook for us. I will forever miss her. 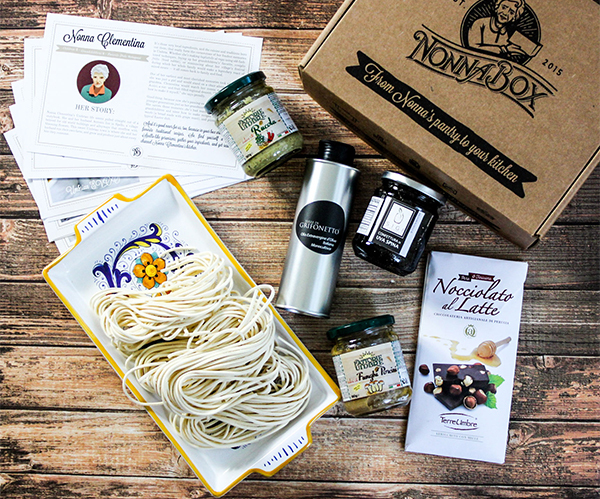 I would be delighted to win such a tasty and worldly food box as the Nonna Box! What an amazing concept to be able to enjoy Italian cuisine. I even have the exact plate pictured to put the Stingozzi pasta on! I would like to broaden my taste and learn about Italian cooking from other regions. My nonna is from Groppo di Varese Liguori, and everything I know about cooking is from her! She’s been gone for years, but reading the ingredients of your Nonna Box brought back every moment of the time we spent in her kitchen. 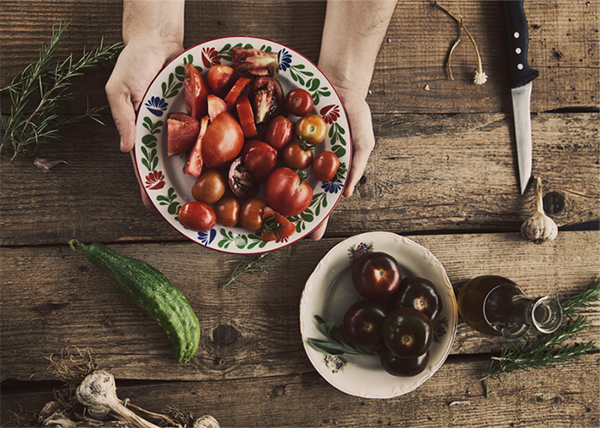 I would love to expand my Italian cooking repertoire and learn more about the food culture of my family’s homeland! Nonna Box Italian delights would be the ideal gastronomic gift to begin the New Year and dream about “La Dolce Vita”! I am the Nonna of 4. 100% Italian and I have never met anything Italian I didn’t like! Authentic Italian. Always looking for new ideas. Recently remodeled our kitchen and would love to spend more time making fabulous Italian dishes for my family. I’d like to win this so I could make a yummy dish for my mom and grandma. I would love to host a dinner party for my non Italian friends and family with a Nonna Box. I’m very passionate about my Italian heritage, what a great way to learn about and share the many regions and food customs of Italy and truly toast Mangia Bene! This would be a great way to further explore and teach my children about Italy and all its wonderful food. my father was born in Lucca, and my mothers family is from Calabria. i cook and bake all the time and Italian recipes are my favorite! i am always trying new recipes and new ingredients. i would love to win this box and all the great items inside!!!! I would love this box because my soon to be husband and I love Italian! I would like to win for the chance to try flavors that are new for me. I love to cook Italian food. When I visited Sicily I really enjoyed going into the local markets and looking at all the different ingredients and that is why I would like to win this Nonna box. My whole family loves Italian food, so a Nonna Box would be a delicious treat for our family! I would love to win the, as I really want to go back to Italy. I love Florence, but have never seen much more of Tuscany or Umbria. I love all things from Umbria! The food , the people and the land! this box sounds wonderful! In 3 weeks I will become a Nonna for the first time! Getting this prize in the mail would make it official. I didn’t even know they had Nonna Boxes. I’d love to try out foods from the different regions of Italy. Thank you for the opportuniy. My, maternal relatives were all from Calabria so that would be nice. I love to cook! Even though I don’t think my ancestors ever left the United Kingdom, except to immigrate to Canada/US, I swear I must be part Italian. Italian cuisine would probably be the cuisine of choice if I had to limit myself to one type. I’d love to try out some new recipes! Where I live, specialty Italian ingredients are hard to find, and this is a disappointment to me as a native New Yorker from an Italian family who grew up with pork stores and Italian delis and bakeries on every corner. I love to cook, to uphold our family traditions, and to experiment with new recipes and ingredients. I’d love to try out a Nonna box and if it’s a keeper, I’d likely purchase more! My family comes from Foggia (I was recently there for a visit October 2016) and my husbands mothers family come from Parma. When we visit Italy we like to go to as many places as we can to learn about the people, history and food. Umbria is on our list of places to visit as we head north (we are already planning our next visit for 2018) and to be able to experience some of the tastes now would be amazing. Then again all the food in Italy is amazing!! I am the last of the family to try to carry on traditions I was brought up with. All 4 of my grandparents were born in Italy, Sicily, Naples and Palermo. My granddaughter and I are planning to take Italian language classes this summer. I can understand alot of it but have trouble speaking it. She calls me Nonna, which I love. She helps me make ricotta, cannoli, gnocchi, she will definitely be the one to carry on traditions. I would love to give this to her for her birthday. would love to help my culinary experiences broaden and try new taste and flavors of Italy. This box would help with that culinary experience. I love trying something new! Keeping my fingers crossed. I always told my sweet father that I was thankful that I was born Italian. My Dad was born in Pettorano sul Gizio, and my Mom’s Parents were born in Guiliana di Roma. I have always been so proud of my Italian heritage, our people, traditions, and our food. I would enjoy receiving the gift of the Nonna Box, but if I don’t, I will be happy for the winner you chose. I live in a small country town that is devoid of such delicacies so this Nonna Box would be welcome treat. I know Lazio and Campagna and would love to taste the flavors of another region. What a fun way to have an opportunity to try different things. In the main, I’m a scratch cook and am Italian so that is the “style” of most of our meals. This would just be fun to play wth, and perhaps be “fast food” for me in the pantry when it’s just not a slow food day!! Would love to win the box so that I can relive our wonderful Umbrian culinary experience! My Italian mother in law won’t share her recipes. I would love to knock her socks off with something made with Nonna Box – but I would share my Nonna Box experience with her. My goal for this year is to try at least 2 new foods or recipes every month. This would definitely help! I was born second generation Italian from Neapolitan heritage. All of my food derives from this region of Italy. It would be educational and fulfilling to try this food from another area of Italy. After all, if it’s from Italy, it has to be delicious!! Would love to try the different pastas. Also, would love to learn traditional recipes. I love wine-but don’t know how to pair it with food. The information on the cards would be very helpful. I teach cooking and could learn some new skills to teach my students. Would love to win this. It would be like a staycation. And I could use one right now! Winning this box of goodies would just make my New Year! I would look forward to using the new recipes and all the ingredients in the box to help prepare the new recipes. 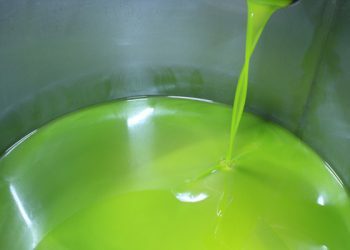 It would be great to try products from the Umbrian region! Voglio mangia bene. Would love to win this to feel like I am in Italy!!! I am Italian (family from Costaciarro in Umbria), I love Italian food, and I LOVE surprises! I would use this to inspire me to cook for friends! My husband is from Sicily and in my household cooking is a pleasure and creativity for the whole family. I would be thrilled to try NonnaBox’s products and recipes. I would enjoy trying authentic Italian recipes. 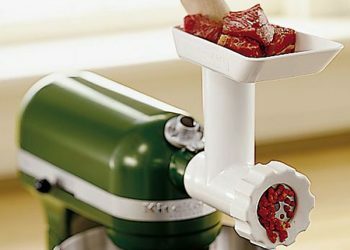 Being Italian and a Nonna myself this would be an amazing gift! I’m also planning on visiting my home town in May of this year to catch up with cousins. Frassinetto here I come! A delicious combination of foods, my Nonna and Momma would love to open and bring a wide smile to their faces…… thank you for bringing to us. What a wonderful opportunity to sample the combination of foods that bring a taste of Italy to North America. I love the Italian cuisine. I especially love trying new areas of Italy. I got to visit Umbria in 2016 for the first time. The fun is trying the cuisine in each area and then experimenting with it at home. I would like to win this so that I could give this as a gift to either my sister or my son. I would love to see what she does with these ingredients, she makes the most delicious meals. Or give it to my 23 year old son who has started experimenting with different ingredients and comes up with amazing meals. I think this would be a great gift for either one of them. Would love to win. I’d like to win the “Nonna” box to try some new ingredients and recipes. I would love to win as my family-in-law is Italian! This would be so FUN to try this box out with them! Happy New Year! I’m always up for trying new items not to mention they all sound great. I’d love to experiment with it. I love to try new things. My Nonna was from Abruzzo and what a cook she was, always creating something with what was in the cupboards. I am the same way. I would love to win this great italian sampler of food. I love this idea and what a wonderful gift to give someone. Sharing the different regions of Italy in which each has such different cooking styles. 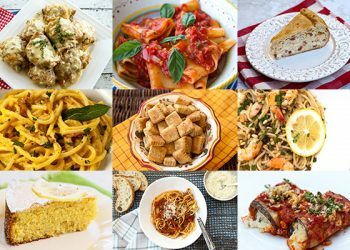 Nonna’s have perfecta the art and are go to chefs, I would enjoy sampling these recipes and recreating these regional specialties! cibo bouno! Quite simply I would like to win because I am not familiar with the Nonna line of products, and this would be a good opportunity to taste them. I am 100% Italian. My Mother was from the province of Avellino, a town called Montemarano. If I win, I would also want to share the products with my sister, Veronica. Thank you for considering me. I’d love a Nonna Box. Arugula Pesto sounds very interesting. I would love to wine this box. It has been so long since I’ve used gooseberry’s, what a treat! Thank you. I would love to win this box because it has such a nice selection of products I would like to try. 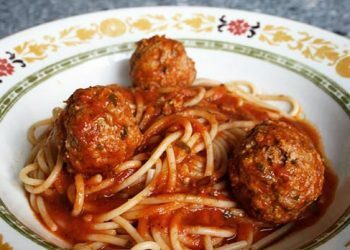 Not having any Italian heritage at all, I love learning about authentic foods like this! I would love to try this box out. I have been to Italy once and would love to return. I am of Sicilian heritage. The box of goodies looks delicious. I love to cook and would love to try your product. Looks like a delicious box of treats! I love Italy and I miss the country and the people there so much. I’ve been following your newsletter and recipes for some time. Each time I read it or cook something you’ve listed I feel like I’m right there, I’m back home. You seem to have a real grasp what Italian is deep inside. I am sure that anything you put together will be fantastico! Mille Grazie for this tasty contest and for your great Newsletter. the only thing i can say is,im italian, i love italian food,i love to cook italian meals and some baking too. my mother was actually born in italy,the naples area,rocco d`vandro. my father although born in america,parents were from abruzzi. it would just be great have this gift box. thank you for listening to me. Sounds like heaven in a box. Would be absolutely fabulous to win! 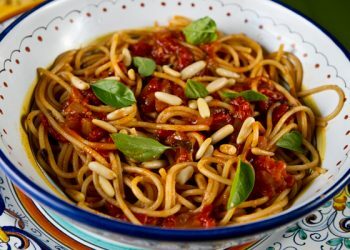 oh i love cooking italian – i have fond memories of my grandmother and mother cooking those delicious italian dinners on sundays – everyone gathered around – and the aroma was unbelievable – oh i hope i win – let me find that bottle of wine !! I love all things Italian! CIAO! Some interesting ingredients to play around in the kitchen. . .not that I need another excuse to spend my day there. I enjoy your website and haven’t tried a recipe I didn’t like. Winning this box would be great! Thank you for the chance. I would love to win this box to share with my children, My Farther and his parents ( my Grand parents ) come from Italy, and Compofranco, Sicily . Going to Italy is on my wish list. I would love a Nonna box to share with my kids. It would be fun to have them in the kitchen and learn about their heritage!